• Water, water, anywhere? a home inspection should start with a check for leaks in the attic. This can occur and be most obvious after heavy, driving rains. Also, walk through each room of the house and inspect walls and ceilings. Ceiling spots can be another warning sign your roof needs repairs. And peeling of interior or exterior paint or wallpaper, sometimes from excessive moisture or high humidity, can be a sign of possible inadequate attic ventilation. If more ventilation is needed, it can be relatively easy and inexpensive to install even if you don’t need a new roof. • Crackdown on cracks-The most common leak sources on the outside include cracks in flashing around the chimney and vents, or worn-out, decayed or missing shingles. 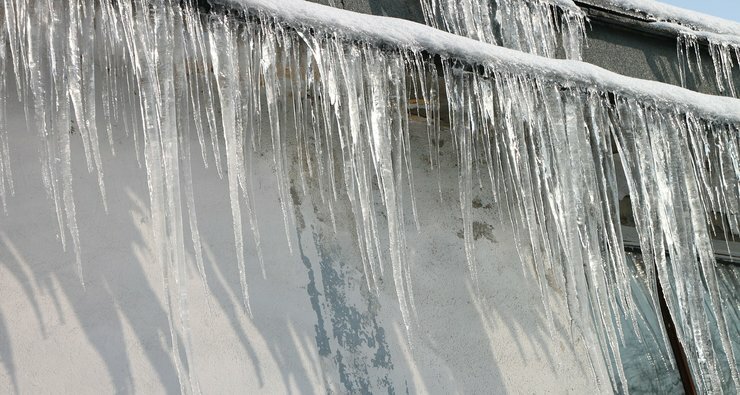 Check your gutters for debris, including granules in the gutter. If you find an excessive amount of granules, it may indicate aging shingles that should be replaced. While up there, check for any missing, cracked or curled shingles. These should be replaced quickly to avoid structural damage to your roof deck and the interior of your home. If any shingles are blistered, decayed or “dirty looking,” they need to be replaced, too. If you find any of these potential problems and are in need of repairs, the first and most important step to take is to find a competent roofing contractor. Poorly installed or constructed roofing systems waste American homeowners billions of dollars every year, according to GAF Materials Corporation, North America’s largest roofing manufacturer. Fortunately, most risks can be avoided with a professional roofing system that’s correctly installed, maintained and/or repaired. GAF offers access to a database of factory-certified, prequalified roofing contractors. Every contractor is licensed and insured and pledges to work on the homeowner’s roof as if it were its own.